2018 WAS A HUGE YEAR! Dungog Contemporary are delighted to present our first ever Christmas group show, The Summer Salon, for 2018. Exhibiting artists include: Fiona Barrett-Clark, Belinda Street, Jen Denzin, Jake Clarke, Amelia Vivash, Madeleine Cruise, Sally McDonald, Ondine Seabrook, Cath Beynon, Michelle Brodie, Ken O’Regan and Jane Frances Reilly. Peter Lankas has a solo show hanging in the front gallery. Works from Sally McDonald, Madeleine Cruise, Michelle Brodie, Amelia Vivash, Peter Lankas, Jane Frances Reilly and Ondine Seabrook. We are thinking of facilitating black & white photography workshops through Dungog Contemporary Gallery. This is only possible because of the exciting news that someone has set up a fully equipped commercial darkroom with several enlargers and other equipment in the Hunter Valley, selling film, paper & photographic chemicals. Do you have a 35mm or medium format analogue camera that you would love to use? Would you like to learn how to use it properly, to compose beautiful photographs, to use a light meter and both available and studio light. Imagine developing and printing your own photographs! This workshop would run in two stages. A photography workshop in the field in Newcastle and our studio. With a processing and black and white printing workshop in the darkroom. If you are interested please contact us through this website as we would need to work out logistics etc. We think that March 2019 would be a good time to begin. Jo Katsiaris presents a beautiful exhibition made from the discarded. Earlier this year we presented Newcastle’s Ken O’Regan with his stunning works combining found object assemblage with a strong environmental theme, Katsiaris’s work is thematically similar but vastly different. These pieces are beautifully simple in their construction and upon reflection speak to us deeply about the huge complexities we face going into the future. The act of making art from unwanted material in order to illustrate the huge amount of resources, that we as humans waste is a noble act. “Sacked” the feature piece, consists of fifteen jute coffee sacks found upon the streets of Sydney and paint found in a skip outside a building site. mixing oxide into the paint and by varying the amount of oxide on each panel, Katsiaris has produced something extraordinary. Viewing the work with the morning sun streaming into the gallery, it is as if there are huge blocks of sandstone suspended in space. There are several other small works in the show made from offcuts of timber, sawdust, glue, cardboard and paint assembled in highly considered composition, a simplicity that is one of the hardest things to accomplish as an artist. Influenced by the radical Italian art movement “Arte Povera” of the 1960’s who’s artists expounded the use of non traditional art materials such as rocks, twigs and rags and the alarming state of the environment as we forge full steam ahead into the 21st century. Jo Katsiaris presents WASTELANDS, a glimpse into a brighter future where we re-use, all that is waste is not. 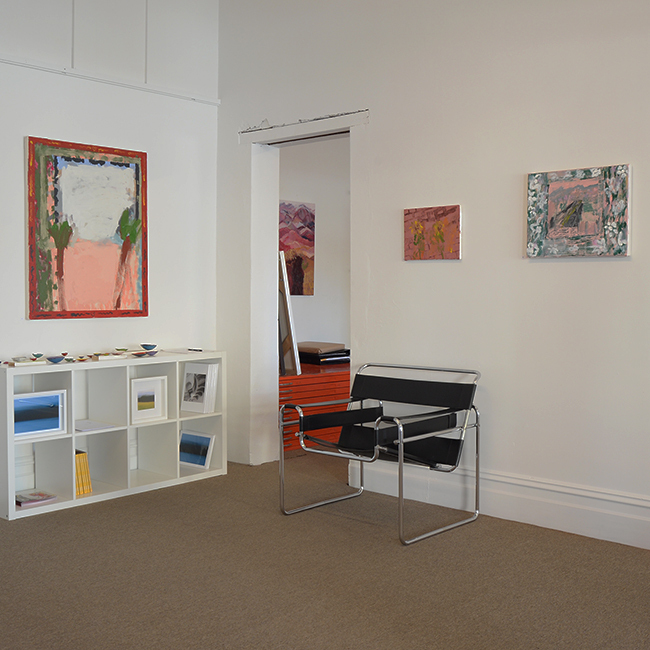 Dungog Contemporary is an Art Money partnered gallery. WASTELANDS is on until Sunday, November 18. “Sacked” 2018 Found coffee sacks, paint & oxides. 5000 x 2500mm 15 elements. Jo Katsiaris “Imperfect perfect” 2018, Found timber, paint, sawdust and glue. Jo Katsiaris “Imperfect perfect III” 2018. Found timber, paint, sawdust and glue. Congratulations to Fiona for being one of fifty artists to be included into Amber Creswell Bell’s lovely new book A PAINTED LANDSCAPE . Across Australia from Bush to Coast. A survey of contemporary Australian landscape painting. Published by Thames & Hudson. Available from November 1, 2018. We were privileged to be able to show Fiona’s work here in the gallery earlier this year and have two works available for acquisition through our stockroom along with many other works from emerging and mid-career Australian artists. 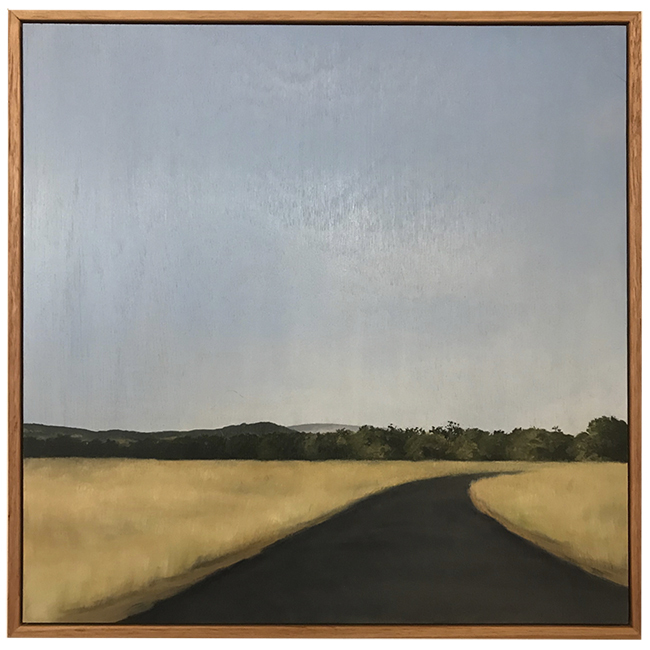 Dungog Contemporary is an Art Money partnered gallery, An easier way to buy and begin collecting art. We now have a small selection of works available from Newcastle painter Peter Lankas. Here is a link to our stockroom, where you can view the works and also watch a short video on the artist himself. Peter Lankas “Sunday Luncheon” Pigment, oil, chalk and eggwhite on board. Jane Frances Reilly. “Looking through a window” This beautifully honest body of work examines the practicalities of domestic and rural life. The mundane is transformed through line, colour and texture, creating romance and cognition. Their construction renders their adaptability and the combination of all these elements provides a conduit for connection. Within each work is a record of all our lives, they are the keepers of our stories. Jo Katsiaris. “Wastelands” Detritus. The discarded is snatched from the jaws of forgotteness. In sight and on our minds, the overwhelming problem of our consumerist Achilles heel. Our capacity to face up to our addition to the new is diminished as the task seems beyond overwhelming. Our memory of mending, fixing and darning, lost to a distant advertising campaign of “built to last”. The ping of built in obsolescence is silenced by the bright, shiny and new. wastelands brings us optimism as we come face to face with the renewed. All that is discarded is not lost. “Looking through a window” and “Wastelands” open at 10am on Saturday September 29, co-inciding with the Dungog Festival, a weekend of festivities culminating with a terrific gig on Sunday night in the main street featuring Those Jazz Guys and Dog Trumpet. The two shows run until November 18. Additional works by other artists are available for purchase through the stockroom and online. It seem's hard to believe, we have been here for a year. Sarah and I are both so pleased with the terrific talent we have been able to showcase and the discerning collector's we have been able to place works with. A huge thank you to both artists and clients without whom we wouldn't be here. This Sunday 9 September, we are having drinks in the gallery from 1pm to celebrate. If you can do, try and make it in. We currently have two really strong solo shows on. 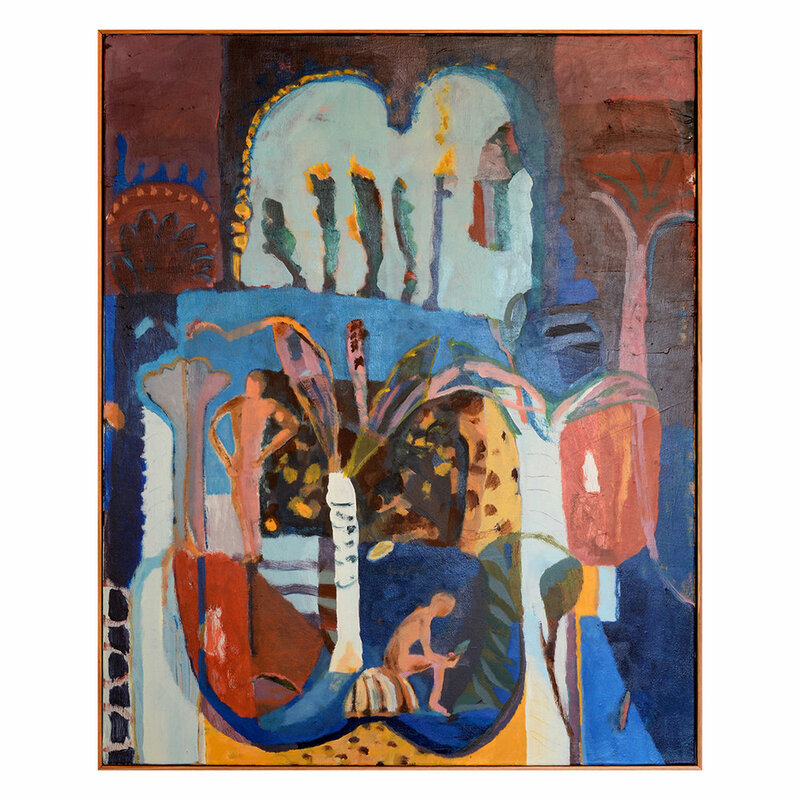 Madeleine Cruise, one of Newcastle's great young painters, a show not to be missed. Jake Clark is from Melbourne, and also currently exhibiting both in London and New York. His edgy works satirising capitalism and popular culture. Jake was also the first person ever to arrive at Dungog Contemporary in an Uber! Here are a few images of the current shows we have on. Onnie Seabrook in the front room & Ken O'Regan in the big room, Onnie even has a few works still available for acquisition! There are photographs of all the individual works in the artists catalogue page on this website. Ondine Seabrook & Ken O'Regan are both showing until August 19th. It's a great time of year to visit Dungog & Ken is also holding a creature creation workshop for kid's on Sunday July 22nd in the gallery, details on the artists exhibitions page. Madeleine Cruise is an emerging artist from Newcastle, NSW, her painting practice explores the role of ritual and habit in everyday life and the way these practices contribute to personal identity and purpose. Studying a Bachelor of Fine Arts with a major in Painting at the National Art School Sydney, as a student of the Reg Row Art Scholarship she graduated in 2009 with First Class Honors and the Fraser Studios Residency Prize. Other residencies have included Firstdraft, The Bundanon Trust, The Banff Centre and Marrickville Garage. Cruise has exhibited in solo and group shows in Australia and Canada and is held within private and public collections including Artbank Australia. Madeleine is having a solo show at Dungog Contemporary this August. Here is a taste of what is to come. We currently have three paintings from Madeleine available for acquisition. We have extended this beautiful strong show of works until the 25th June as we have decided to run our shows bi-monthly to give people more of a chance to visit us in the Upper Hunter Valley. There is also have some very exciting news coming for the gallery and a really terrific program to take us through our first birthday and through to the end of the year, stay tuned! Our Dungog Contemporary stockroom choice of the week. This lovely Australian landscape painting by award winning Newcastle artist Belinda Street "Golden Gully". "Golden Gully" Belinda Street 2015, Oil on linen, 900 x 900 mm. Hill End has attracted Australian artists since the 1940's. A landscape torn apart by gold mining in the 19th c and then abandoned has inspired generations of Australian painters with the twisted forms and sharp light of it's ravaged landscape. Beginning with Russell Drysdale and Donald Friend, The giants of the Australian art world have painted Hill End, Margaret Olley, Geoffrey Smart and Brett Whiteley to name but a few. Artist's Jean Bellette and Paul Haefliger bought a house there in which John Olsen lived for a time in the early 1960's. Hill End has one of the best Artist in Residence programs in Australia. Twice winner of the Mosman Youth Art Prize, Street won a full scholarship to the Julian Ashton Art School, and has attained a degree in Visual Arts at Newcastle University, with Honours at The College of Fine Arts. Known for her expressive Australian Landscapes, Street’s work explores the relationship between representation and abstraction. We have several beautiful works by Belinda available for acquisition. 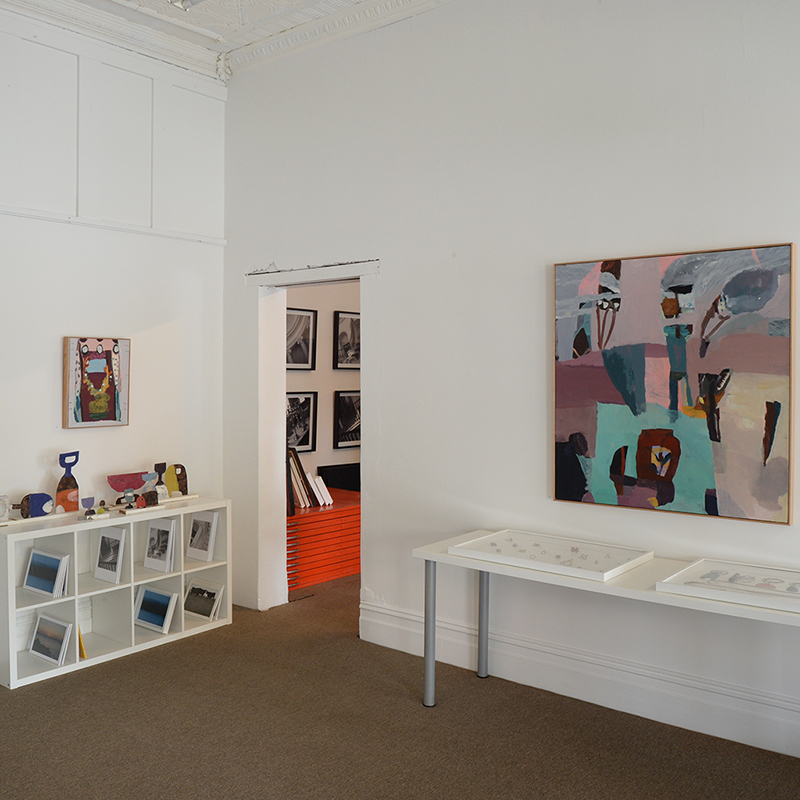 Having a flexible space located within three heritage shops on Dowling St, Dungog, we Hold monthly shows in our large gallery, and a rotating stockroom show in the smaller front gallery. Showing emerging to mid career artists, we are always searching for artists whose work we would love to hang on our walls at home. Our stockroom is evolving beautifully, we have a lovely selection of works available for acquisition through our online stockroom here on the website, take a look. Shipment can be arranged anywhere and we also offer a picture hanging service in the Dungog, Newcastle and Sydney region. Sir Peter Blake who's best known work would have to be the iconic album cover for "Sgt Peppers Lonely Hearts Club Band" has painted a Mersey ferry. Sydney Ferries came up with a boat called "Ferry McFerryface"? I can see works by Reko Rennie and others moving about on the Harbour when I watch this, wouldn't some colour and pattern on our ferry's look amazing! One of the services that we can offer here at the gallery is the conservation of photographs. 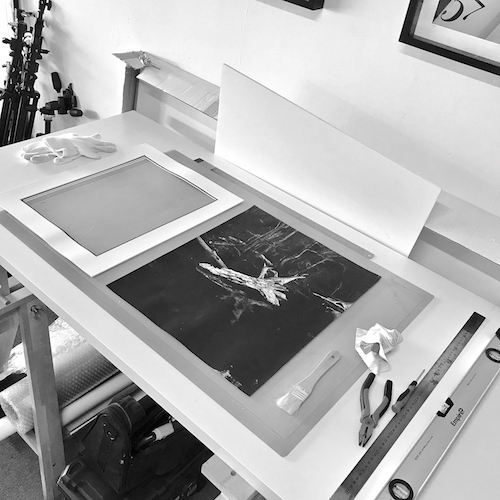 Here a client has brought a framed photograph in to have its matte cleaned, flattened out and to be put back into the frame with a new backing board. I am also going to clean the mahogany frame with antique furniture reviver and give it a coat of beeswax. I do not stick the photograph down as we frame archivally using acid-free products at all times to ensure that any work we carry out is of a museum standard. When finished we will fit new D-Rings and wire, the work will look as good as the day it left the framers. We can also restore old photographs. Making high-resolution copy photographs using studio flash which we then Photoshop to remove blemishes and imperfections. They can then be re-printed to custom sizes. It is also possible for us to have your photographs printed onto other media, for example, canvas or banners, fabric for art installations and promotions. Recently we made a portrait of a farmhouse for a client whilst the jacaranda trees were in full bloom, removing unsightly things such as powerlines and satellite dishes, more on that in another blog-post. Leading Japanese contemporary artist Yayoi Kusama is now showing at qagoma.qld.gov.au/ Brisbane. I wouldn't miss this for quids, definitely worth the trip. Here is a nice 24 min short from Bloomberg TV on this prolific artist who has been making work since the 1960's, Enjoy!